As the world’s largest enterprise application software company, it might seem like SAP has it all figured out. Founded in 1972 by five entrepreneurs, the company now serves more than 404,000 customers in 180 countries. Through these customers SAP is connected to 77 percent of the world’s transaction revenue, 78 percent of the world’s food, and 58 percent of UN member governments. Playing a major role in shaping the modern economy, few multinationals are better positioned to influence how business is optimized for good. Of course, with growth comes challenges—be it for a business or the world. Sometimes you have to take a step back to move forward. I’d like to take you through our journey, and our struggle, to turn purpose into action and deliver collective impact for our business and the communities that need it most. There have been more advances in technology in the past five years than in the previous hundred. According to the World Economic Forum, 65 percent of children entering primary school today will ultimately end up working in new job types that don’t yet exist. One out of every four workers already admits to a skills mismatch in their current role. The World Bank recently determined that 60 percent of global citizens are not even included in the digital economy! The statistics are both exciting and alarming. Why does this matter to SAP? Because corporate social responsibility (CSR) isn’t about a team within the company—it’s about the company’s DNA. As Bill McDermott, SAP’s CEO, puts it: we have a moral obligation to initiate people into the modern economy, “regardless of where they come from.” This imperative has taken on a special meaning since 2015, when all 193 United Nations member states adopted Agenda 2030 and the Sustainable Development Goals (SDGs), the culmination of unprecedented collaboration between governments, business, civil society, and citizens. For the first time ever there was a clearly outlined, unified plan to achieve a world without poverty, a healthy planet, and a just, peaceful society for all. With the convergence of the company’s purpose-driven promise and the SDGs, it was time to implement a proactive, actionable plan to keep people at the heart of digital transformation. Given our long history of CSR, we were aware that part of the solution would be a combination of SAP’s leadership, financial resources, and ecosystem. What we didn’t know was how to leverage these strengths to ensure no one is left behind in the digital economy. With the convergence of the company’s purpose-driven promise and the SDGs, it was time to implement a proactive, actionable plan to keep people at the heart of digital transformation. Every organization has its own brand of constraints, and SAP is no exception. “While every department has a specific role, all activities need to be aligned to create the visibility, focus, and agility that define intelligent enterprises,” says Christian Klein, SAP Chief Operating Officer. With 94,000 employees representing multiple departments across 130 office locations, that is sometimes easier said than done. To achieve a company-wide strategy for digital inclusion, we lean in to one of SAP’s five cultural pillars to “build bridges – not silos” and strive to execute beyond organizational boundaries. This is not a siloed CSR program; it’s a business imperative for SAP, our customers, and the world. As demonstrated by the SDGs, there is immense power in partnership and collaboration to solve complex global problems—across geographies, industries, sectors, and even internal departments. Before looking to our external partners, we first needed internal alignment. Understanding the barriers to quality education and workforce readiness for all meant partnering internally first and then moving forward externally as “One SAP”—a united organization. While it can be a frustrating undertaking to create company-wide alignment and, on the surface, much easier to move ahead in compartmentalized teams, the benefits of bringing everyone to the table are overwhelming. A lengthy process of internal consultation and change management helped us gain a better perspective on what tech innovation means for today’s and tomorrow’s workforce and what is truly keeping everyone from participating. These discussions also led the way to a response that truly fits with our DNA. In designing our Agenda 2030 strategy, we developed a roadmap to expand quality education and decent work. In internal discussions we agreed our primary consideration was simply to help people become and stay relevant in a digital world. To do this, we needed to translate digital skills into innovation that can be harnessed by organizations and individuals alike. We needed learning for life. SAP’s Learning for Life platform is based on three pillars: a connected pipeline of learning opportunities; meeting people where they are on their employment journey; and propelling them to decent, meaningful work. Through its interdependent programs, the platform is able to serve three critical stakeholder groups: today’s workforce, tomorrow’s workforce, and those who have been left out of the workforce. Today’s workforce: How do you ensure that today’s workforce has the skills needed to remain relevant tomorrow? How do you do this at a scale that will make a difference? In order to create engaging and continuous learning experiences for both current and future employees, SAP launched openSAP, a platform for Massive Open Online Courses (MOOCs). Since its inception, openSAP has offered hundreds of free online courses; today more than 2.5 million people have participated. 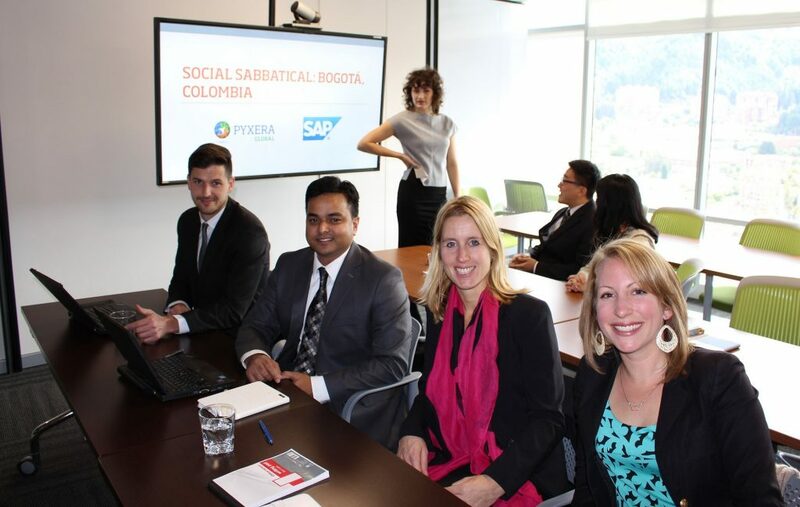 Meanwhile, the Global Pro Bono program, SAP Social Sabbatical, supports mission-driven organizations that are working to increase opportunity through digital inclusion. In total, SAP Social Sabbaticals have benefited 3.2 million people and contributed to the creation of more than 380 new jobs. Tomorrow’s workforce: Sixty percent of Generation Z want work that makes a difference. This challenge, perhaps more than any other, requires ongoing collaboration. Breaking down the silos between governments, educators, civil society, and business to build direct lines of communication and open feedback between sectors will be instrumental. 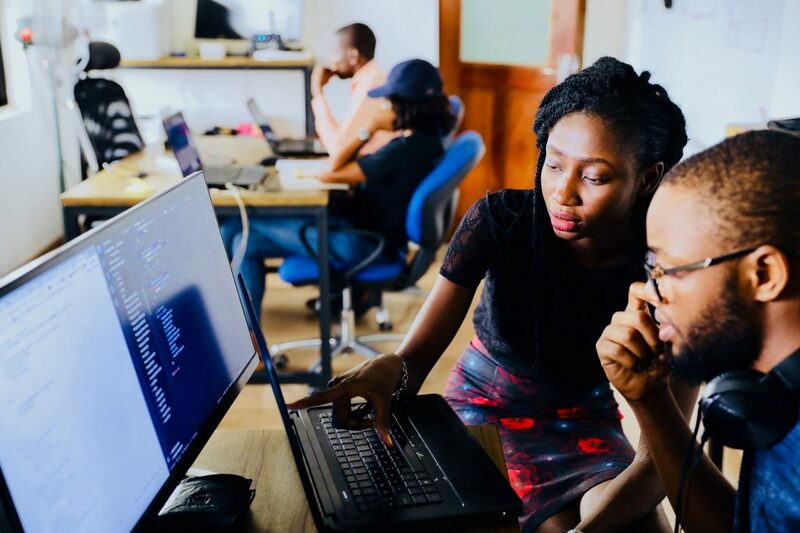 Code Unnati, a “corporate-to-citizen” initiative to address severe gaps in IT manpower in India and around the world, is showing how this might be done. Implemented in partnership by SAP, our customers, Indian NGOs, and the Indian Government, Code Unnati offers online literacy and digital skills training to adolescents, youth, women, individuals with disabilities, and other marginalized citizens. Access for all: Digital inclusion is the cornerstone and foundation to ensuring we succeed in solving for quality education and decent work, because digital inclusion is social inclusion. How can we ensure access to new opportunities for even the most underserved groups? This isn’t just a nice to have—this is a business imperative and a critical component to socio-economic stability. I’m proud of our contributions to the SDGs—but as I mentioned at the start of this article, the real power of SAP is our core business. Our global ecosystem has more than 404,000 customers and 17,000 partners in 180 countries, plus a base of 94,000 employees representing more than 140 cultures. By sharing our skills, expertise, products, and financial support with our ecosystem including our nonprofit and social enterprise partners, we can accelerate their ability to achieve impact, and in turn, our own. 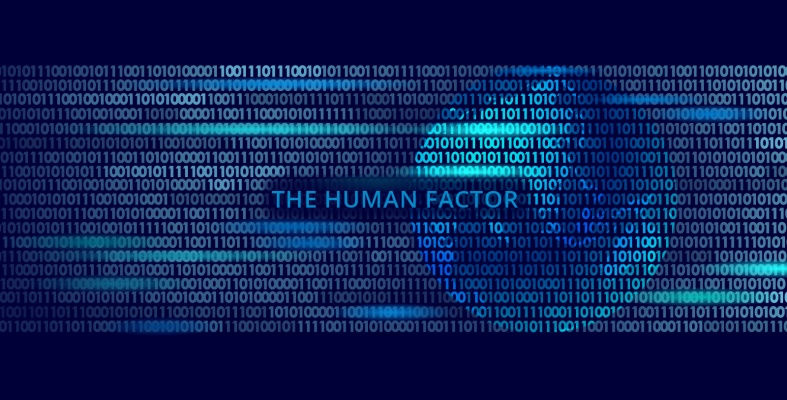 Today’s workforce… tomorrow’s workforce… the underserved and underrepresented… those not yet included in the workforce… everyone is impacted by technology and global innovation. We see our greatest challenges as our greatest opportunities. To that end, the company is ready to take Learning For Life to the next level, which is why we’ve partnered with PYXERA Global to create a new, multi-stakeholder partnership initiative called Corporate Champions for Education. Building on the success of the Social Sabbatical program, we are extending that opportunity to companies of all sizes, across industries, to activate our collective purpose, support the future workforce needs of our organizations, and together create opportunities for an inclusive, digital world. Participants from several companies will form diverse teams to work on specific projects, using their professional business and operational skills, during four-week secondments with nonprofit organizations in select underserved markets. The beauty of such an approach is that participants benefit even as they serve their host organizations. Global Pro Bono programs are proven approaches to both developing global leadership skills and improving employee engagement. Through these experiences, it’s clear that building the capacity of local organizations is the best, most sustainable way to ensure that their clientele have the requisite competence and confidence to participate in today’s—and tomorrow’s—global economy. For more information on joining the Global Corporate Champions for Education, please visit https://www.pyxeraglobal.org/corpchampion/.